India’s banking system is showing good growth; deposits grew at a compounded annual growth rate (CAGR) of 12.03 percent and reached USD 1.54 trillion in FY17, according to the India Brand Equity Foundation (IBEF). By 2025, IBEF estimates say that the total banking assets in India would cross USD 28.5 trillion. The biggest factors contributing to this growth will be a steadily growing GDP, rising disposable incomes and the rapid adoption of technology in the industry that has led to a massive digitization of banking services across the country. Of note, it is interesting to understand that the Indian economy has some very unique characteristics. First, a sizeable proportion of the population still depends on agriculture for their livelihood and a deficit in rainfall results in losses and unemployment. Secondly, Indians who had surplus cash have historically invested through informal channels (such as local chit funds). This was especially true in rural areas. These factors, in part have contributed to the emergence of an unorganized banking sector, which extends to the lending and credit space. While successive governments have attempted to establish institutions, and implement policies to regulate lending, it remains a challenging task. Despite these drawbacks, the government and the RBI, along with banks and FinTech companies, continue to innovate and offer a wide variety of products catered to the needs of consumers across all income groups and geographic locations. In recent years, the standard for organized lending was the credit score – offered by companies like Credit Information Bureau (India) Limited (CIBIL). It is influenced by many factors – an individual’s loan repayment history, number of loans outstanding, the terms of these loans, credit card utilization, and even requests for increase in credit limit. While a high credit score shows responsible financial behavior, it cannot be the only criterion to be considered while assessing a potential borrower. At best, the CIBIL score represents an individual’s past financial and repayment habits. Today, lenders need to know more about the spending and repayment patterns of potential customers – which a traditional credit report may not reflect. Moreover, credit reports work on the premise that customers have access to formal lenders and have availed loans or applied for credit cards at some point in time. In a country where relatively few individuals obtain loans through formal channels and even fewer have credit cards, the method would not be able to accurately score a significant proportion of the population with thin credit files. Also Read Making sense of ‘Black Box’ in Artificial Intelligence -- should we trust AI completely? These individuals end up becoming “credit invisibles”, as they are un-exposed or under-exposed to the formal credit system or have no credit history. In many cases, “no credit history” seems to be worse than “bad credit history.” As a result, these individuals are marginalized, denied credit and may have to resort to informal means of credit, often paying usurious interest rates. This situation highlights the pressing need for lenders to look beyond typical credit reports. In fact, many financial institutions are increasingly using alternative data to assess potential borrowers. This type of financial data not only supplements the traditional credit reports, but also adds new dimensions to it – lifestyle, interests, spending habits, etc. A number of countries are considering the adoption of demographic and psychometric data as a part of credit scores, and the regulatory environment for credit modeling in India now needs to be ready for it as well. In fact, India has to catch up with the basic practices of data acquisition for an individual or firm. China is already using a much larger range of financial, demographic and social data points for credit risk assessment. In addition, the US has been using alternative data for evaluating potential borrowers, tenants or even employees. 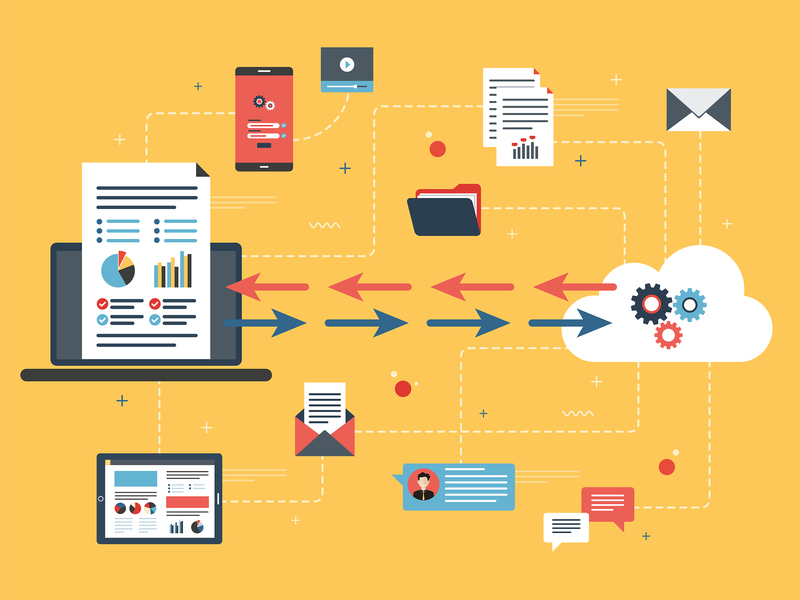 One form of alternative financial data is the vast cache of transactional information that resides with financial data aggregation providers. Financial data aggregation essentially provides a platform to consolidate a customer’s bank, credit card and investment accounts. Advanced capabilities even enable the aggregation of physical assets such as real estate. This data aggregation provides a holistic view of a customer’s financial health as it takes into account all known sources of income along with assets and liabilities. Hence, aggregated financial data can provide lenders a whole different view while assessing loan applications. In fact, financial institutions and alternative lending companies have already started using aggregated data in a variety of markets and business lines. A recent article in HousingWire magazine – a leading publication for US Mortgage markets, explores the possibility of leveraging alternative financial data to improve lead generation, optimize the underwriting process, and approve more qualified customers including “credit invisibles.” Closer to home, Home Credit India is supplementing traditional credit reports with alternative data from partner platforms to drive credit penetration and financial inclusion. The strongest driver for adoption of alternative data is the digitization of applications and services to enable businesses around the world to improve their customer experience. Leveraging data to develop personalized digital banking solutions is creating more customer engagement and loyalty. Data analytics, along with alternative data will play a massive role in the lending process moving forward. The availability of data and the tools to extract deeper insights will also help in other areas of lending – such as differentiated pricing for loans and preferred lending rates. This technology will not only make the assessment process more holistic, but also create a better support system for end consumers – helping them service their loans and provide any support that they may require. Also Read RIP Schaft Project: Why Is Google Abandoning Its Robotics Units? With the infusion of financial parameters and data available from online sources – the five Cs of credit assessment – Character, Capacity, Capital, Conditions, and Collateral – can be met more accurately. It allows for the creation of a more robust data repository that can help lenders make faster, better decisions. An individual’s spending behavior from ecommerce sites, communication pattern from mobile phones, data from banking applications, and even vacation destinations from social media sites like Facebook – can help to create a lifestyle assessment matrix – which provides a significantly more holistic data set for lenders than the information from a credit score. These alternative data sources enable lenders to identify credit invisible consumers who have no credit score, but are still credit worthy. Advanced data analytics also enable lenders to get deeper insights into an individual’s credit status, payment patterns and income flows to better assess credit worthiness, while expanding their applicant pool to “credit invisibles.” For now, lenders have barely scratched the surface of what could potentially be the goldmine of alternative data sources that can be used for lending purposes. The future clearly belongs to those businesses that embrace alternative data solutions – to supplement traditional methods of credit risk assessment. 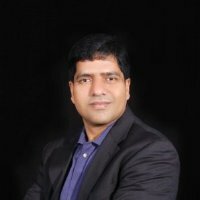 Pramod Singh is Chief Analytics Officer & VP of Data Science at Envestnet|Yodlee, bringing over 20+ years of experience in data science, big data & AI with a track record of successfully enabling top and bottom line growth for businesses leveraging the power of analytics.